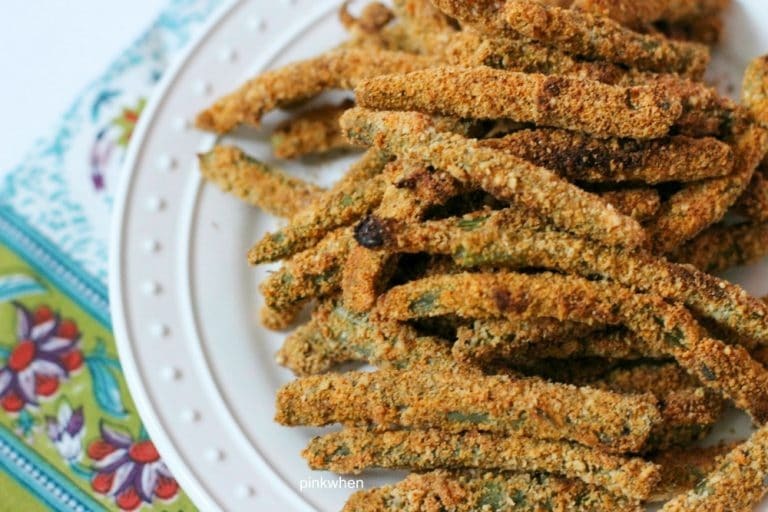 Have you ever experienced fried green beans? If not, you are in for a treat with this Easy Green Bean Fries recipe. They are so delicious and so amazing, you won’t want to stop eating this yummy dish. 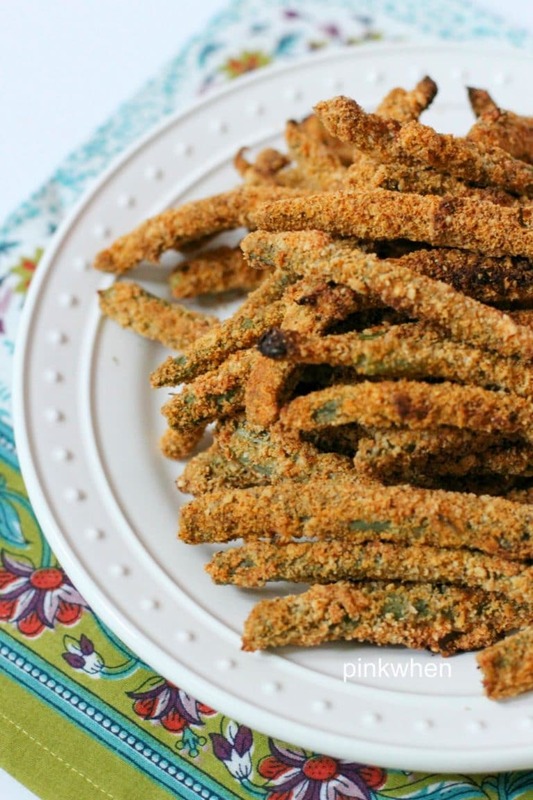 Check out just how easy it is to make these crispy baked green bean fries. I love anything fried, but I love it when I can hack the fried taste for a healthier version of a recipe. This is one of those healthier recipes. 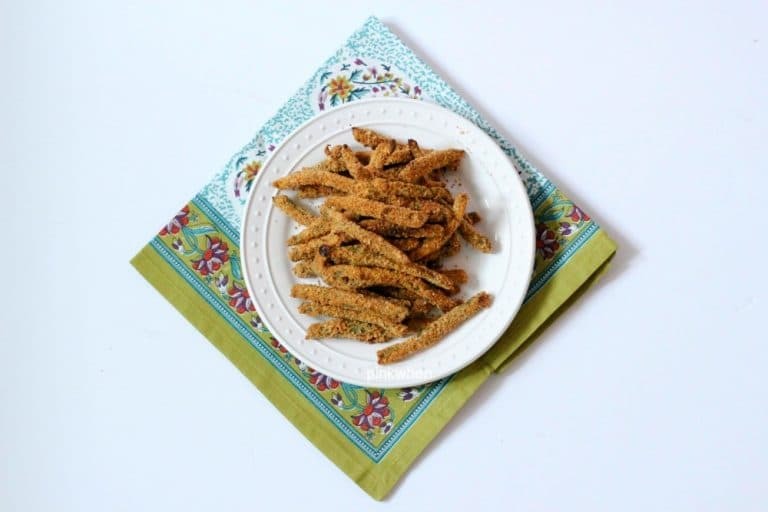 Made with almond meal and your favorite seasonings, these green bean fries are baked in the oven for crispy perfection. I am such a huge fan of this delicious side dish. They are so easy to make and are such an excellent addition to any healthy meal. These oven-fried green beans are a deliciously easy side dish that is mouthwatering and healthy. With only a few ingredients and seasonings, they are bound to be a new favorite substitute for regular french fries. Oven fried green beans are healthier than frying them the old fashioned way. They are just as crispy and mouthwatering as the original version. Mix the almond meal and seasonings and set them aside. In a separate bowl, lightly beat the eggs. Coat the beans with egg before dipping them into the almond meal and seasonings mixture. Bake on a prepared cookie sheet for 12-15 minutes until crispy and golden brown. Remove from oven and serve immediately. These are SO entirely delicious! 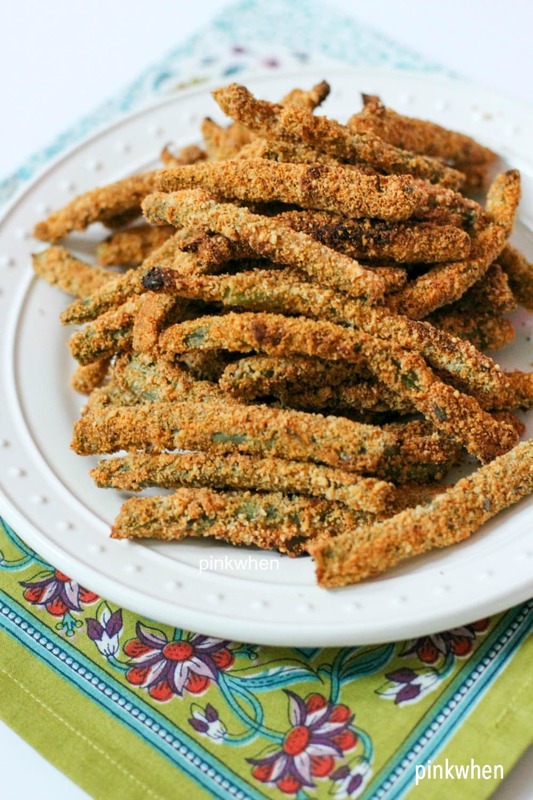 Delicious and easy oven fried green beans. Store any leftover fried green beans in an airtight container in the refrigerator for up to 3 days. Re-heat them in the oven on 350 degrees Fahrenheit for 5 minutes, or re-warm them in the microwave for 10 seconds. Make sure to follow along as we continue to share our favorite recipes. You can do that by subscribing to our email newsletter, and rating our recipe below! 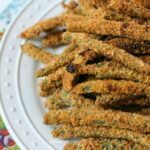 This fried green beans recipe is a crispy, healthy, mouthwatering delicious way to eat green beans. Add the eggs to a medium mixing bowl and mix them slightly. Add almond meal and seasonings to a large plate and mix well. Dip the fresh green beans into the egg, and then coat well with the almond meal seasoning mixture. Prepare a cookie sheet and then line with the coated green beans. Bake in the oven for 12-15 minutes. Start to check on the green beans after 10 minutes and flip them if needed.